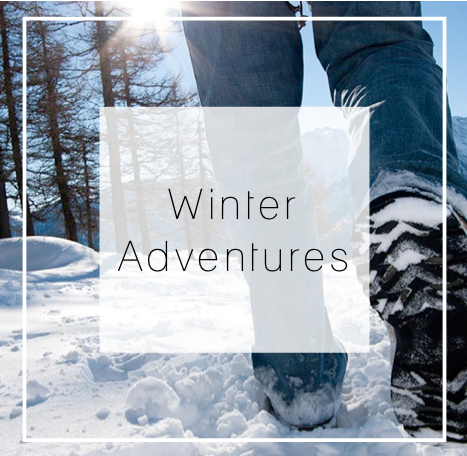 Each season we brainstorm a list of seasonal activities that we would like to adventure out and do. Here is what we are aiming for December through February. We hang this in our kitchen and use it for ideas when we are looking for something to do. 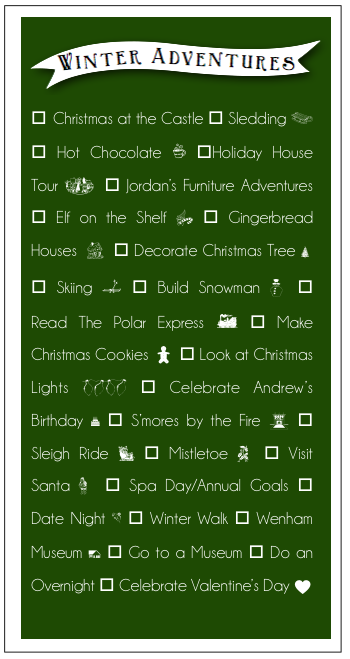 We enjoy checking off adventures as we go. Hoping you are finding sweet adventures in your December. Each month we set goals together, intentionally setting a tone for the month. Here is a reflection on November and what we are planning for December. You may read more about this here. We did most days, but when the going got tough and it was hard to match the day with the word, we were not on top of it. We agreed on more items and spent more than last year, I would rather go the other way. We are off to a good start, was hoping to have more done by December 1, but we are continuing to be intentional. We read Gone Girl and saw the movie together. Practice Presence with Andrew by doing our own Instagram Challenge #SharpteamChristams2014 A little simpler this time: Post a picture of the Christmas Season each day through Christmas. Work with Cole on practicing presence by having “Present Moments,” times where we are in the midst and we pause to articulate what is going on and how we are feeling. We will video some of those moments. Giving our presence to our children each week by going on adventures that they will enjoy and by creating cozy family times at home. Giving our presence to each other by maintaining times of reflection each day and adventure each week just with each other. Individually deepen our sense of presence by meditating each day. In the month of November one of our goals is to practice gratitude with our five-year-old in practical ways by doing projects with him. 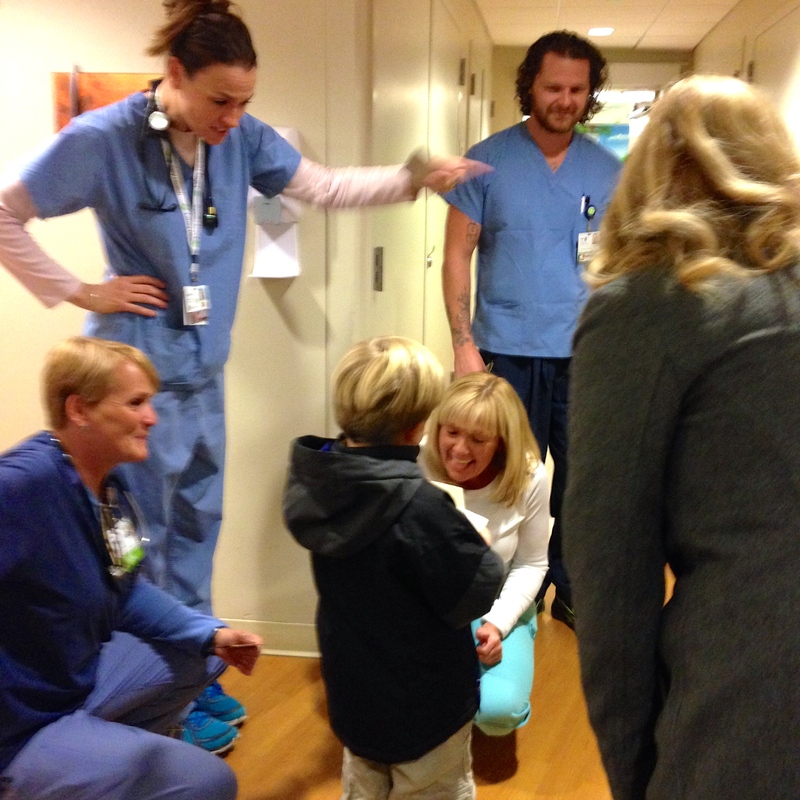 This week we focused on our thankfulness for our health and for nurses. The members of our household this year have had two surgeries, three hospital stays, four cortisone shots, numerous doctor visits, three braces, occupational therapy, physical therapy, early intervention, lots of amoxicillin and breathing treatments and one feeding tube (that was pulled out numerous times). 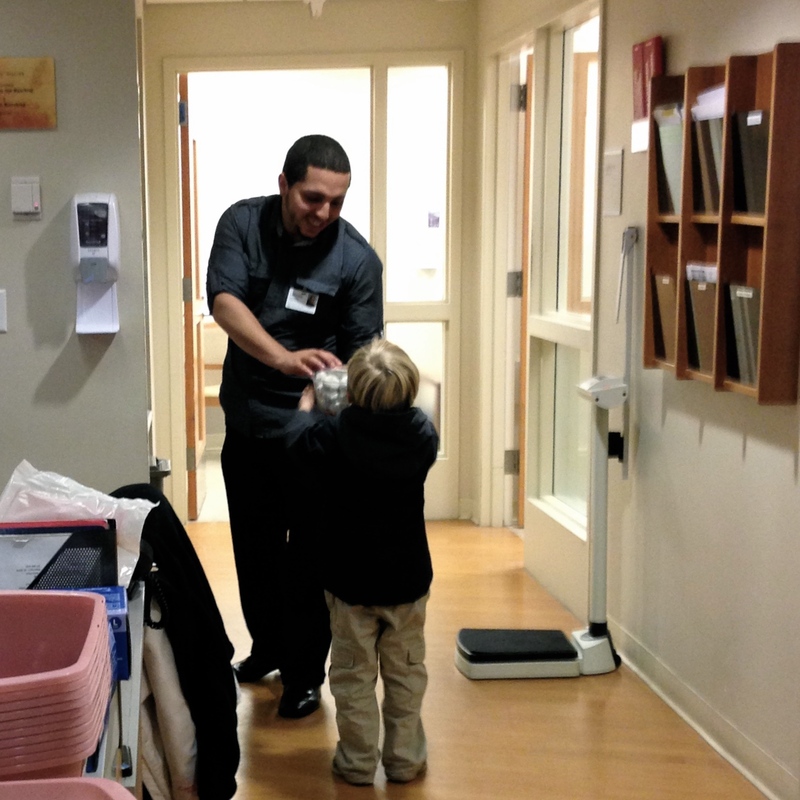 We appreciate health and we appreciate those who help us get healthy. 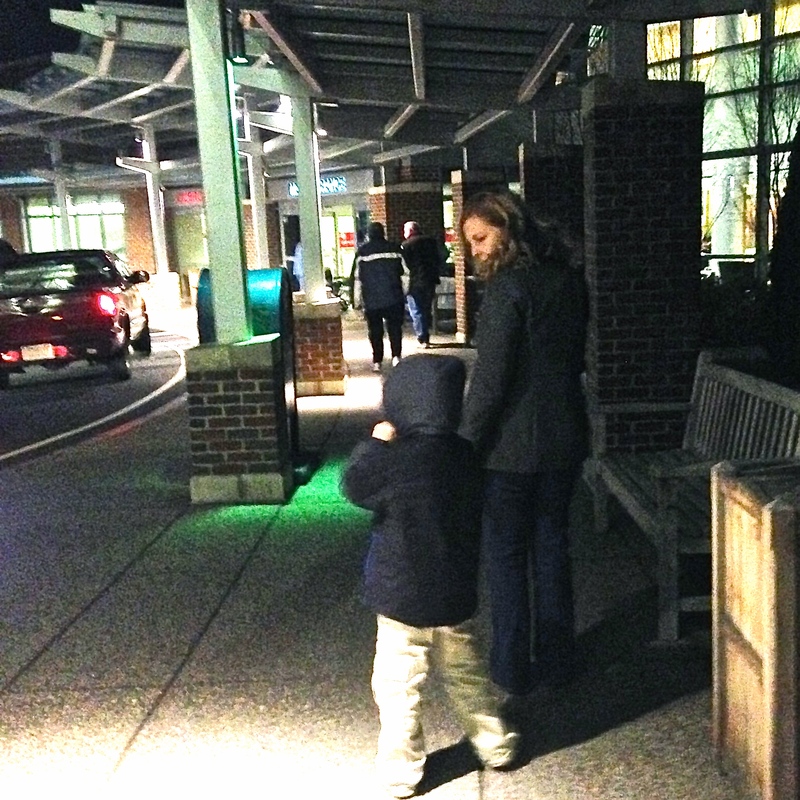 So this week we did a spur of the moment visit to the Emergency Room after dinner. Our family of four arrived bundled up with a paper bag. We declared that there was no emergency, but that we would like to speak to some nurses to thank them. There was one uncertain looking nurse who asked if we wanted the pediatric nurses, and I explained that we were grateful for all nurses. She used the card around her neck to open the doors and then they locked behind her. I had Colton reach into the bag to pull out cinnamon donuts. He gave them to the people working in reception, thanking them. We explained to them that this had been a year for us of coming to really know and appreciate all that nurses do. We thanked them for how their knowledge and their many abilities. These nurses beamed. They seemed filled with goodness and light. When we left we felt as if we had been blessed all over again by these incredible, special human beings. A great big thank you to nurses. Remember to thank a nurse. 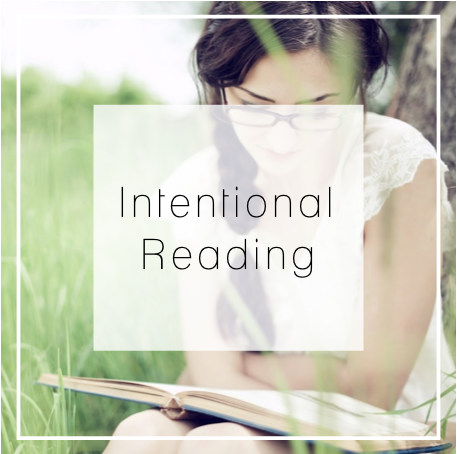 Each Tuesday I write a blog post to share with you a way to be in more intentional in your day to day. A couple of years ago my brother-in-law had a great deal of insights from books he had recently read. He named a number of titles I was interested in, but had not found time to sit down and read. Curious I asked him when he had time to read, and his answer revolutionized reading for me. He read while he did the dishes, while he worked out, while he waited. He was listening to audiobooks. I have been listening ever since. Listening to books is thought provoking, and informative. It can be an adventure listening to someone else’s journey or a work of fiction. Why not allow yourself to read more, by joining audiobook or taking out audiobooks from your local library (many download right to your phone). In the month of November one of our goals is to practice gratitude with our five-year-old in practical ways by doing projects with him. This week we focused on our thankfulness for friends. Colton started kindergarten this year. He went to pre-school in another town and did not know any of his classmates when he started the school year. He went from being known by everyone to feeling a bit unsure about himself. It was a hard transition. But now we are two months in and he has formed some new friendships. This week we talked about these and who he is grateful for. 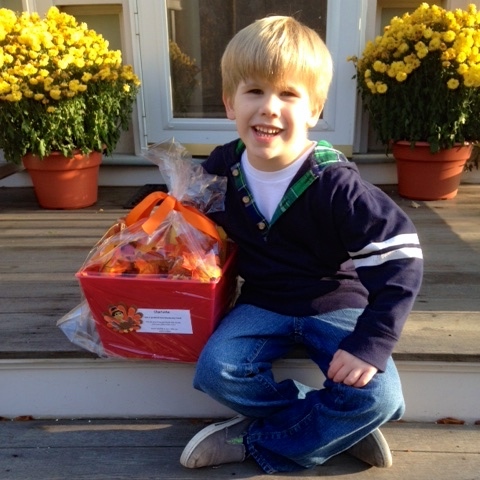 We decided to make friendship buckets for a few of his new friends (and he best friend from pre-school). We decided to pick out some crafts, because Cole loves to do crafts. I picked up crafts at Michaels and Buckets at the dollar store. Cole, Andrew and I worked to put them together. Cole made the Crow Cups with his papa. He picked the candy to give. He sorted the stickers and crafts. He cut out instructions and put together the bags. We topped it off with leaves. He was ready for delivery. We delivered each to his friends. I emailed the parents to know why we were doing this and to be on the lookout. Friends are a great gift. In the month of November one of our goals is to practice gratitude with our five-year-old in practical ways by doing projects with him. This week we focused on our thankfulness for food. One thing that Colton is grateful for is food. He is unaware that there are people in the world who are hungry. I was unsure of how to introduce this to him. I researched on-line and appreciated the simplicity and authenticity of this video by Sesame Street. Cole continues to remember the young girl’s story about snack time. We have a local food bank, so I researched how to donate to them. If you are looking for local food banks you can find them by using this website FIND Food Bank. I looked around on-line to find out what the primary needs are for a food bank (our local food bank did not list these). We went to the store and purchased these items. 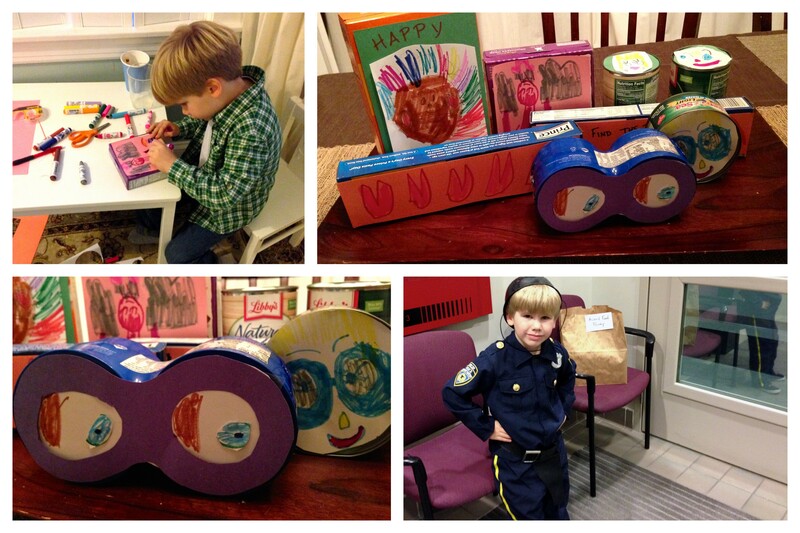 And then on recommendation of this site, we dressed them up a bit with pictures by Colton. We headed off to the local police station that accepts donations 24/7, only to watch them all drive away! There was an accident in our small town. We were able to drop off the food in the foyer. A simple way to show gratitude this month is to donate to a food bank. Let us work together to eliminate hunger. We believe that in each year, month, week, and for us, weekend that we want to balance Adventure and Retreat. Adventure is a time when you step out of your day to day routine. It can be an activity that educates you, opens you up more, allows you to face your fear, exposes you to another way of doing things. We see adventure as stepping outside of what is required of you and into what challenges you. An adventure may be heading out on a white water rafting trip, traveling to a new place, or seeing with new eyes in a local museum. We like to follow up a time of Adventure with a time of Retreat. We see Retreat as a returning. It is a returning to home or comfort or quiet. It allows time to rest the mind and body as well as reflect. Retreat can include times of pampering, like drinking a favorite warm drink, sitting by the fire. It can also be simple and quiet. Retreat is the time when we recognize how we want to realign to our core values, principles and intentions. When we as a family, a couple, and as individuals live a balanced life of adventure and retreat, we are able to stretch ourselves and reflect on how that stretching impacted us. Our intentional Tuesday challenge to you is to choose a couple of Adventures and balance them with times of reflection and Retreat. This month we are Adventuring into gratitude, we will be giving to a food bank this week (by donating at a local police station. Have you done this? Something similar? Because one of our words for the year is “Lighthearted” we have been going to comedy and improv shows it has been wonderful choosing to laugh. If you could plan a simple time of retreat in your home what would that look like for your family? This weekend we drank mulled apple cider and ate donuts. We cozied up by the fire and talked about what we are grateful for. We like to drive to the ocean and sit and brainstorm about the month (or week) ahead. Colton loves to draw when he thinks about things. Andrew and I both like writing. 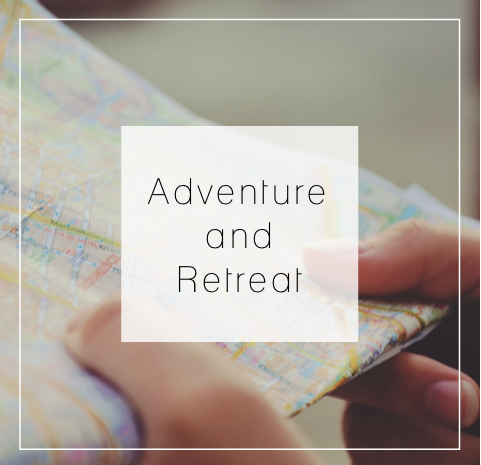 Take some time this month to Adventure and Retreat.